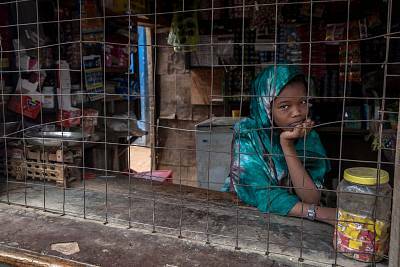 Though the U.N.'s refugee agency, UNHCR, is known everywhere as the chief protector and spokesmanfor most of the globe's 25 million refugees, Abdullahi shouts as she hurls the stones, accusing the agency of stealing her children. Her account is corroborated by a former U.N. contractor, speaking anonymously for fear of retribution, who said he personally collected tens of thousands of dollars from refugees while acting as a middleman for Momanyi — and other UNHCR staffers — over several years. He said Abdullahi's ex-husband paid almost $20,000 in multiple installments. In separate interviews, more than a dozen other refugees said Momanyi was known for taking bribes. One described the Kenyan as "the architect of corruption and refugee resettlement problems." In an interview at Dadaab, the UNHCR's staff denied corruption could have played any role in the outcome of Abdullahi's case. They also looked up her case number and said her files show her husband remains in Kenya and was never resettled. 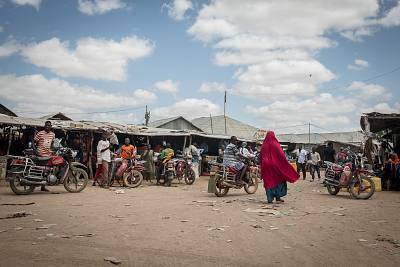 Two UNHCR Dadaab staff members also denied that Momanyi had ever worked there. Click here to read the 100Reporters and Journalists for Transparency version of this story. Contacted on his UNHCR email address, Momanyi — who now works in another country — referred questions to a UNHCR media spokesperson, who said she could not comment on individual staff members. Reached by phone, Abdullahi's husband confirmed he had been resettled in Minnesota, but said any allegations of corruption were "false information." "The U.S. government gave me resettlement to come to the United States but that's it. There's no bribe," he said. "She was rejected by the United States government. That issue, it's over… You know (in) America there's no bribes." The allegations of corruption at the UNHCR are not limited to one man or one place. A seven-month investigation across five countries with significant refugee populations has found widespread reports of the UNHCR's staff members exploiting refugees, while victims and staff members who report wrongdoing say the agency fails to act against corruption, leaving them vulnerable to intimidation and retaliation. In interviews, more than 50 refugees registered with the UNHCR in Kenya, Uganda, Yemen, Ethiopia and Libya have described corruption and exploitation involving the agency's staff and personnel from other aid agencies, followingsimilar claims by refugees in Sudan last year. Refugees who are part of the Nakivale settlement in southwest Uganda said UNHCR staffers and officials from organizations that work with them demand bribes for everything from medical referrals to food rations to contacting police, and it can cost $5,000 in bribes to resettle a family. Reporting included on-the-ground interviews in the Dadaab and Kakuma refugee camps in Kenya and the Nakivale refugee settlement in southwest Uganda. Refugee sources were not paid for interviews, and most said they wanted to speak out because they have exhausted all other options, including complaining to the UNHCR itself. Only refugees who explicitly agreed to be named are identified; all others are kept anonymous because of the risk to their safety. While UNHCR staff have occasionally faced internal punishment for taking bribes, these sources — almost unanimously — accuse the organization of ignoring or "whitewashing" charges so as not to risk losing the support of donors. Suspected perpetrators are allowed to resign or move to other locations rather than face investigation, according to dozens of refugees and former and current staff. 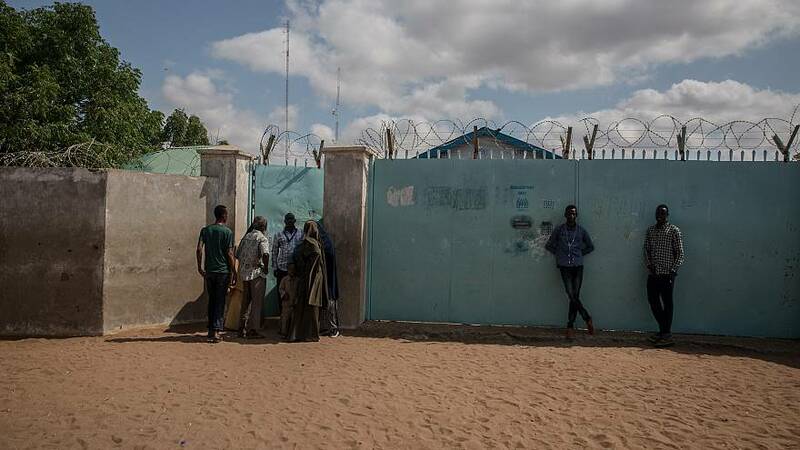 Temporary suspensions of resettlement — as is happening in Sudan following allegations of corruption there in mid-2018 — doubly punish the most vulnerable, they say. Three former UNHCR staff members said their employment contracts were unexpectedly terminated after they spoke out about fraud and exploitation or took steps to stop it. Instead, corrupt staffers in positions of power replaced them with others more willing to tolerate bribery or other misconduct, they allege. Alternatively, staff suspected of misconduct may receive good references so they are promoted and moved to other locations, current and former staff said. 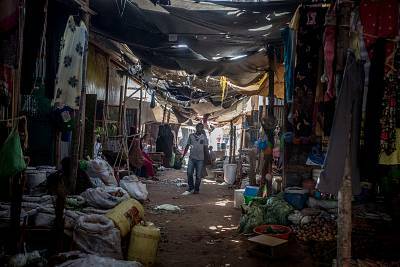 "You're punished if you care too much about the rights of refugees," one former staff member in the Dadaab refugee camp in Kenya said. "It's not a place for that." 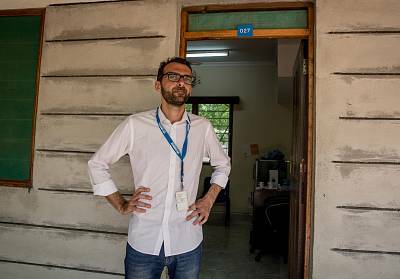 "All the processes are geared on the trust of the staff member," a current UNHCR resettlement staff member said, speaking on the condition of anonymity for fear of professional repercussions. 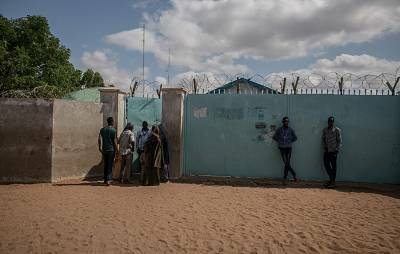 Resettlement fraud happening somewhere like Dadaab, where there are few processes in place and higher officials aren't doing appropriate checks, is "the perfect Petri-dish of corruption," the staff member continued. "You can do it easily." "The overwhelming majority of 16,000 staff and affiliated workforce are deeply committed professionals, many of whom are working in difficult environments, sometimes risking their own safety. But as in other organizations, we are not immune to risk or failures on the part of individuals," she said. "This is why we have established a solid safeguarding structure, which has been further strengthened in the last two years and which we continuously seek to improve." In the past, Pouilly said, scammers have posed as UNHCR officials to defraud refugees, using fake identification cards and claiming they can influence the resettlement process. "While it is impossible for UNHCR to root out ground-level impostors, we have taken renewed action to raise awareness among refugees of the process and educate them on how to recognize and report fraudsters, reminding them that all services provided by UNHCR and its partners are free. Guarding against attempts to undermine the integrity of resettlement is always a priority for us." However, exploitation of refugees by the UNHCR staff is not new. Frank Montil, a former senior UNHCR investigator and narcotics detective, uncovered a refugee extortion racket in Kenya in 2001, in which the agency's staff may have made millions of dollars by taking bribes at every stage of the resettlement process. "We're 18 years later, and it's even worse now than ever before," he said, after hearing the results of this investigation. Montil says that while an international investigative team was assembled in 2001 after the accusations emerged, the UNHCR has effectively blocked a similar body from being set up since then, because of fears of the fallout it could cause. Instead, he noted, the agency relies on its own internal mechanism, which he says isn't focused on gathering evidence for prosecutions despite clear allegations of criminality. The UNHCR says it has waived immunity and assisted local authorities in pursuing criminal prosecutions following the conclusion of their own investigations. "I'm not surprised, because wherever you've got refugee camps you've got the potential of this sort of thing going on," Montil said. "The demand side of resettlement is enormous and the supply side is small. UNHCR refuses to look at the context in which it operates." "It's pretty bloody sad," he concluded. The United Nations High Commissioner for Refugees, or UNHCR, was established in 1950 after World War II with a mandate to protect refugees across the world. Today, it is responsible for 19.9 million refugees globally, roughly 2.5 million of whom live in refugee camps, sometimes staying there for decades. More people are forcibly displaced now than at any time in history and, in recent years, as migration has grown politically fraught, the agency's role has ballooned. The UNHCR regularly represents refugees' interest at the highest levels: Spokespeople meet with leaders around the world, advocating for the rights of millions of refugees, while pinning their own budgets to refugees' needs. In the past two decades, the UNHCR's requested funding has soared eightfold, standing at $8.5 billion for 2019, up from $965.2 million in 2000. The agency also has a heavy focus on public relations, and appoints celebrity ambassadors such as actors Angelina Jolie, Ben Stiller and Cate Blanchett, and authors Khaled Hosseini and Neil Gaiman, to "help to bring our organization to every corner of the world." "Fear is a triangular thing. The (refugee) card might be canceled, then they can use the police to arrest us for being illegal, the police will torture us," she said, sitting under a tree far from her dwelling, where she worried people might report her for speaking to a journalist. "When we try to convince people to protest in large numbers they just say the reprisal won't be worth it." "Fraud, unfortunately, it's a cancer affecting anybody and you can never be sure that you can eliminate (it)," Fossati said. "What we are doing, UNHCR is already doing, is putting in place measures mitigating the possibility of fraud taking place and having an effective response and measure. The fact that certain staff have been dismissed or sanctioned or so on, it's a sign the machine is working."